Guest Post: Dan O'Brien "The End of the World Playlist"
I am noticing a theme in Dan O'Brien's cover schemes. Are you? What do you think the theme is? Thanks for coming back and sharing with us again Dan. This book sounds great. We're looking forward to your next visit. Here. Dragon Shaman Book One: Taming the Blowing Wind has received the new cover by Victoria "Salaiek" Davis, the cover artist for Dragon Shaman Book Two: The Smoky Mirror. May I present the new face for the first book in my series. I am so excited about this cover. She took the concept that was in the original versions of the cover and took it to a whole new level by bringing in other characters and places from the story. We have Coyote being himself and tailing Blowing Wind, Hawk (whether this is Hawk himself or her father SoaringHawk is up to you...perhaps both), the Dai Tengu (who also shows up in the second book), and a particular red arched bridged, the gap between the worlds... The mountain is Mt. Fuji, but at certain times of the year and from certain angles her sister mountain, Mt. Shasta, looks very similar. Of course, we also have the sea of trees... Every mystical mountain has its own sea of trees around it after all. 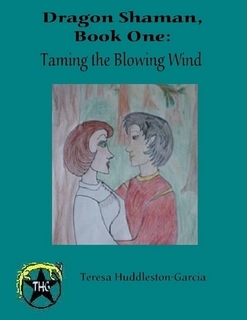 BlowingWind Mountain Child slips back and forth between the spiritual world and her own world on a quest for healing and finding the spirit of a lost love. What she must do, break a family curse, answer to the wishes of her former guide is constantly being manipulated by forces beyond her control, both helpful and unhelpful. Ryu finds himself caught up in it and risking the displeasure of his father. Be watching for the new edition on Lulu, Amazon, Smashwords, Createspace, and other venues. 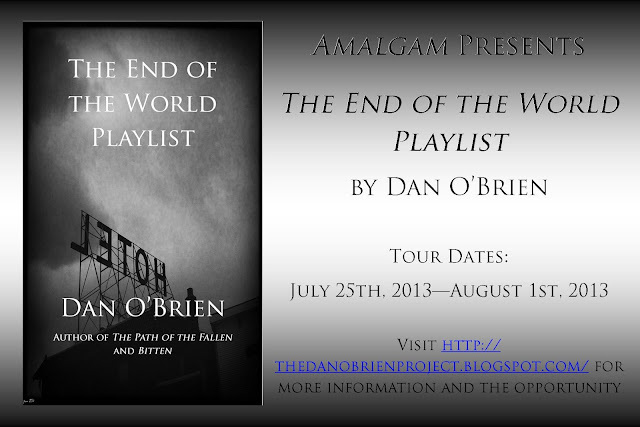 For those curious about the other editions, there are two earlier cover versions. The one on the left was an acrylic painting that I did many years ago, and the one on the right is a colored pencil concept art that actually preceded the painting. I like Victoria's rendition much better. For those that might have missed the announcements on Facebook and Twitter, the next installment of Selkies' Skins can be read for free at http://teresagarciaserials.weebly.com/selkies-skins-chapter-25b.html or you can start at the beginning. 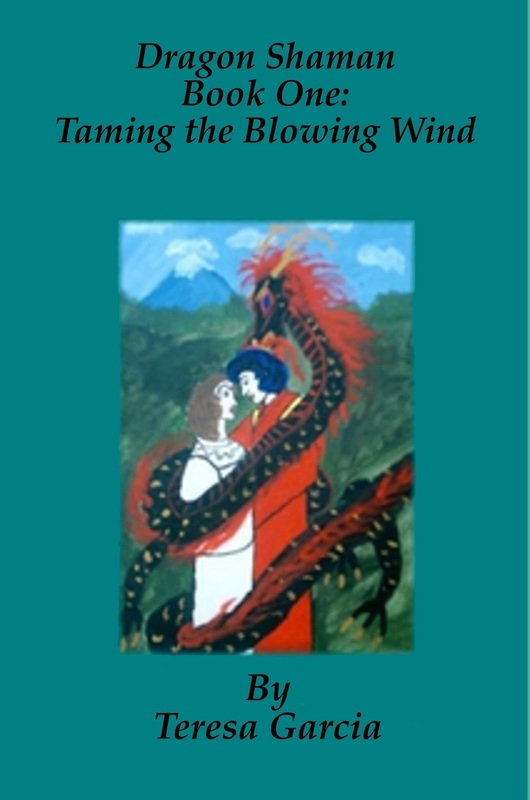 Stayed tuned for the cover reveal for Dragon Shaman Book One: Taming the Blowing Wind's new edition at 6PM. In addition to this, anyone that has a Second Life account is welcome to join me at the Arashiryuu Yashiro's Kami-ya in Nemmers on August 3rd. Starting at 6PM, Grease Coakes will be DJing some of his favorite writing tunes, along with other great music. Bring a friend and get ready to write and chat, or just wander around and listen to the music. I was recently given the opportunity to read and review Christopher Shields' books in "The Weald Fae" series. I am sure that anyone that loves the way the Fae were portrayed before a certain company stepped into the limelight will love these books. I would like to share my reviews from Goodreads. Maggie O'Shea, half Cuban and half Irish is moved from Florida where her life centers around swimming all the way to the Weald in Arkansas. Dealing with the culture shock of entering a new area and school isn't bad enough, she makes enemies of the snottiest popular girl ever and is entrusted by a deep, dark secret by her Aunt May–Fae are real. She makes friends and enemies among them, as well as falling for who we find to be Adonis in the past...despite fighting NOT to since he is her first treorai (teacher/guide). Then we have a crazed, duplicitous Fae leader that can control the four elements and Aether...and SHE has decided she doesn't like Maggie. The "stuff" hits the fan in this series. Book three is new, so I'm really hoping I don't have to wait long for book four. I just finished reading, and would have been done sooner if my family vacation had been less active. Thecharacters are all very well written, the plot is exquisite, and the lead female character is strong. I loved reading how she overcame her obstacles. Chalen I wanted to see destroyed. He was the epitome of Unseelie to me. I very much enjoyed the way that the clans were portrayed, with even the Seelie having darker aspects. I am very glad to be able to read the next in the series, because I've got to see what he does with changelings. As with the previous book, I found the plot to be meaty and fast, pulling me around hairpins and through mental brambles trying to figure out who the main enemy is. I did not expect Ozara's actions. The cast is wide. Fae of all areas are represented. I was also very excited about the inclusion of the Veil. It even has Bigfoot. Being from northern California and the Pacific Northwest, Bigfoot is a big thing with the family. I said it with the last book, but thesecharacters are written deep. I also liked the level of description. The Aetherfae was yet another roller coaster ride. There were revelations that surprised me a bit, such as who Ozara's mate is. Her real views on humans did not surprise me. I was very intrigued with how thick her deception is. Maggie ends up meeting with Bastien, the historian, twice...and I had to laugh because the first time she and her friends met him they had no idea. Her ancestry I also found to be highly interesting, as I know how genealogy uncovers fascinating revelations. Both of these points I thought were brilliant strokes. I stayed up until dawn reading this. I'm going to be wondering what will happen in the next book for a long time. 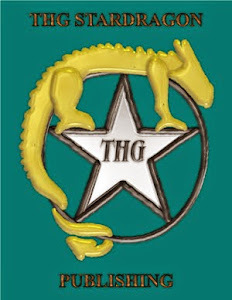 Today I’d like for the blog visitors to meet one of the wonderful authors that are published or otherwise assisted by THG StarDragon Publishing. Each of those authors with me has come with their own story and in their own ways, and it has been a pleasure working with them. For this post I’d like to introduce Marantha D. Jenelle from Texas. Marantha is the author of HOMEWARD BOUND, IMPOSSIBLE LOVE, and IRONY. She is also working on a fantasy novel, THE IHMAYRAN CHRONICLES, which will be sold as a trilogy. I got started in writing in a rather unorthodox manner. It all resulted from something one of my former councilors advised me to try in an attempt to come to terms with some of the darker parts of my past, parts that often influenced my reactions to current day events. I have some problems dealing with anger. She advised me to write imaginary letters to the people I was angry with, letters I knew beforehand that I would not actually send, and also to keep a journal. She told me that journaling would help me to get the things that were bugging me out into the open in a healthy way. There was only one problem, with regards to expressing my feelings, I have never been very good at it, due to being so often ridiculed, maligned, mistreated, mocked, reviled and even punished and abused when I tried to express them. I had just about given up on being able to express my feelings at all when I remembered something from my childhood. When I was young and someone hurt me, or I was distressed, I invented stories in which the person who had hurt me became the villain and almost always met some form of nasty end, and the same thing applied when I could not cope with the painful reality of my existence, I retreated into a world where I was cherished, honored, respected, but most of all loved, the very things that I did not receive in my real world. My first few story attempts were rough and ragged, and I no longer have them. I never showed them to a single soul. However, upon reading those ragged stumbling first attempts, I realized that here indeed might be a way for me to vent without actually naming myself as the one suffering. With the passing of time, I found that I was actually a somewhat fairly decent storyteller, and it grew from there. One thing I must make clear, I do not truly see myself as a writer, but rather as a storyteller, for my stories are filled with description, detail and definitely with emotion. Most of my verses are the same. When I write, it is like in my mind I am sitting around a fire, telling tales while my listeners sit there, their eyes glued to me while my body, face and hands emphasize and compliment the words I am speaking, building tension, atmosphere and emotion. In all honest truth I do not recall exactly how I first met the wonderful and multi-talented Ms. Teresa Garcia. I believe she was referred to me through a fellow writer that I met online. All I know is that not only is she fair in her pricing for her services, but she is very detail oriented. It does not matter how many times we go over a story, she is patient and kind and works with me until we get it right. She is a superb editor, but she has so many other talents as well, such as being able to convert stories to e-book and also publishing as well. It has been my deepest and most humble honor to not only have her as my editor and publisher, but even more so having her honor me with her friendship. I would recommend her without a shred of hesitation to any writer who was seeking an editor/publisher who firmly believes in staying true to the author’s voice. I think I need to hide a moment Jan. You made me blush here. Thanks for such high words of praise. Moving on! 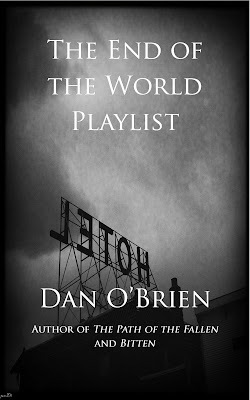 Fantasy is highest on my list of things I like to write, but during my darker moments I also write horror and sci-fi, with some Pagan stories and verses sprinkled here and there. I have, and I say this without blush or brag, many talents. Before arthritis crippled my hands to the point that I can no longer hold or control a paint brush or calligraphy pen, I did both regular and tole painting and calligraphy. I was a self-employed sign painter for nearly twelve years. I did not once advertise yet I was very seldom without work. Sometimes I even had to ask people if they could wait until I completed the job or project that I was working on at the time that they approached me. I kept my prices fair and often took my pay in barter if the ones hiring me were elderly, for I knew that often their shops were their last ditch efforts to stay independent and out of a nursing home. I knew that feeling all too well, for my sister has more than once ‘suggested’ that that might be the wisest option for me, being as I was ‘mentally damaged’ as she so ‘kindly’ put it one of the times she confronted me with the suggestion. You remember I ‘mentioned in passing’ that I have an ‘itsy bitsy’ problem with anger? Well-let’s just put it this way, my reaction to her suggestion WAS NOT a friendly one. We wound up not speaking for nearly two years. It is the only time I came VERY close to attacking another person. You put me up with Piers Anthony, Anne McCaffrey, and all these? To me that is as big as when a reviewer said my writing style reminded them of "The Last Unicorn." I would say it was a rather eclectic mixture of the classics, superhero comics, fairy tales and my own rather wonky imagination. The one common thread that you will find in most of my books, even those that are horror or scifi, is the strength of family, friendship and community, along with definite strong traces of morality, faith, hope, love and justice. No matter how dark the situation, in nearly all of my stories and verses both, there is always a faint ray of hope throughout them, and nearly always there is justice for the victims. Due to my arthritis, hand writing is no longer an option. I do all of my work, both writing and art, on the computer. Lol, there is no ‘writing mood’ with me, for I do not choose the words, they choose me-literally! One moment the words are not there, the next something will awaken my muse and she starts whispering. And let me tell you, she is definitely just as wordy as I am-if not more so. Once she starts whispering, I have no choice, I must stop what I am doing and write. *Blushes at this rather embarrassing admission* At least twice I nearly set the house on fire because songs on the radio set that wordy little muse of mine off and she kept bugging me to the point I simply walked off and left the burners on, my mind so filled with words that I was not really aware of anything else. Thank goodness for my smoke detectors! Any place in nature or near a ground bound water source, such as a river, ocean, stream or lake. If I had to choose just one of my stories that I enjoyed writing it would have to be the one I am currently still working on, THE IHMAYRAN CHRONICLES TRILOGY. Lol, it was supposed to be only a fifty to sixty page short fairy tale for my granddaughter, but about midway of the seventeenth chapter it more or less informed me that it had other plans! It has been one heck of a ride since that night of 10-20-2010, but I can see the finish line, though it is admittedly thirty to forty chapters plus the epilogue (le sigh, and a heck of a lot of editing) in the distance. First and foremost-BELIEVE IN YOURSELF AND IN YOUR GIFT. If you have periods of writer’s block, or have not worked on your story for a while, try reading at least a chapter or two of what you have already written. Nine times out of ten your muse will awaken and pick up where she left off without you even being aware of it, until she lets you come up for air. This actually helps you to see the words more clearly, as well as the punctuation, for it stretches the individual characters out a bit, allowing you to see things such as extra spaces or punctuation marks more clearly. This may sound like odd advice, but it will actually enable your mind to register the individual sentences more clearly without getting caught up in the story. Once you have read clear to the beginning, or to where you last ceased editing, then read again in the proper order. You will be amazed at how much you saw by reading backwards that you miss when you read forward. Also, when you are editing, mark the parts you change in a different color. This will help you to see the problem areas when you ‘read forward’. That is when you will make any needed changes. No, I don’t mind at all. If it is alright, I would like to share the first three chapters of THE IHMAYRAN CHRONICLES. Goody. For the readers, this is actually the project that Jan first brought before me when we started talking. The other books that she has published have been done while still working on this manuscript. Onto the story! For Yalarryn, ruler of Lamythia, High King of Ihmayra, having the palace fall under attack at first light was definitely was not his favorite way to start the day. He had been awake nearly all night, keeping vigil. His beloved mate had gone into labor at precisely mid-moon time. Word of the attackers approach had come just as the darkness was beginning to fade. They had reached the palace just as the first of Ihmayra's two suns arose. The fact that he had been halfway expecting the attack did not make the situation any less grim. After all, he had been warned-not once, but twice. So he had been granted at least a small amount of time to prepare for this day's possible arrival. Especially when he was the target of one. "Prophecies, it seems, have a mind of their own as to when they will begin to take effect, and it never seems to be at a time that is convenient for the one-or ones, whom they pertain to"
King Yalarryn paced, his hands clenched behind his back, his head bowed, in front of the birthing chamber. His heart was filled with anxiety for the well-being of his mate. Queen Laryseena lay within that chamber, in labor with their first child. He was becoming more troubled with each passing hour. Laryseena's labor had begun at mid-moon time, and it was now nearing mid-sun time. Uneasy thoughts filled his mind, something was not right. His kind normally birthed with less trouble than she appeared to be having. Yalarryn's heart was doubly burdened on this darksome day. The reason for this lay in the fact that at that very moment the town lying below the palace and the very palace itself were under attack. Deep concern for both Laryseena and his people filled his mind and heart. His attention was drawn to the sounds of guttural grunts, growls and roars, as the attackers attempted to gain entry. He went to the large open window at the end of the hallway, not far from the birthing chamber door. Looking down he gazed upon a writhing mass of clawed, fanged death, armed with spears, knives and clubs. As he gazed upon that mass of attackers, his brows drew together in a heavy frown. A cold hardness filled his normally gentle eyes. “They must truly fear the prophecy, for them to send so many of their kind, simply to slay a single, small child.” he thought bitterly. Yalarryn knew the exact nature of those attackers–they were Torg. None knew from whence the evil creatures had originated. The bestial creatures had simply seemed to appear out of nowhere, centuries in the past. They had been terrorizing the entire land ever since, growing in number with each season that passed. Completely without compassion, remorse or conscience, the Torg were ruthless, brutal, and utterly evil. Very few living creatures were safe from them. Totally predatory and carnivorous, the creatures had even been known to slay and consume the weak or malformed amongst their own kind. Their favorite prey was one that was still living when they began their grisly feast. Even worse, they were not only intelligent; they were unrelenting hunters and trackers as well. He knew why the evil creatures were at that very moment attacking-in an attempt to thwart an ancient prophecy. It foretold of the utter and complete destruction of their entire race at the hands of a child born of royalty. His eyes turned even harder at the thought of the prophecy. The thrice accursed thing was the cause for this current situation. His thoughts were bitter. "Prophecies, it seems, have a mind of their own as to when they will begin to take effect, and it never seems to be at a time that is convenient for the one, or ones, whom they pertain to!" He glanced from the birthing chamber to the window. He gritted his teeth in frustration as his thoughts continued. "This one could not have chosen a worse time to activate. Laryseena will more than likely be very weak from childbirth. I sadly fear that with each passing moment, our hopes of escape grow ever slimmer." Turning his head he looked down on the town, some of which showed pillars of smoke from the burning buildings. He once more leaned out to look down upon the attackers. This time, some of the creatures were gazing upwards, and saw him. It took less than a heartbeat for the already deafening rumble to nearly double, as word quickly spread. A few of the creatures actually threw spears up at him, despite the fact that he was three levels above them. Turning from the window, he returned to his vigil in front of Laryseena's room. All at once a sharp scream filled the air, emanating from within it, just as a lull fell in the clamor outside the window. As he was standing there, he became aware of something, the noise level outside of the window had increased at the sound of that scream. That lull in the evil creature’s clamorous roars and grunts could not have come at a worse time. The attacker's response to that last scream also removed any final doubts that Yalarryn had entertained as to why they were there. The sudden increase in their uproars confirmed that they did indeed know the significance of this particular child. He continued to the birthing room door, his heart growing heavier with the burdens of his dark thoughts. He placed one hand on the handle, fighting the urge to burst into the room. Once more he cursed the prophecy under his breath as he reached up to lay both hands against the birthing chamber door, his heart aching with ever growing fear for his mate's well-being. His sharply tilted emerald green eyes filled with tears as another scream came from within the chamber. His heart grew even heavier at the agony that lay within that sound. Resting his head on his hands, he sent forth a silent plea. “Oh, ye mysteries, what good be all the powers of our kind, if I be not even able to aid my mate in this struggle? I sense most strongly that something be wrong, for this labor takes far too long. I sense also that she grows ever weaker with the passage of time." His hands curled into fists against the door as another scream of agony filled the somber air. He felt so frustrated at his helplessness in being unable to comfort his beloved mate. As much as he hated it, Yalarryn knew the reasoning behind his being forced to remain away from his mate. The males of his kind were forced to separate themselves from their mates during labor due to the strength of the mate-bond. Even though the mind-speak link was temporarily broken during the females term, the rest of the mate-bond was still active. In the event of the female perishing, if the male was in close proximity, he also would perish, leaving the babe an orphan. By forcing the males to stay as far away from their mate as possible during her labor, should she perish, the babe would be assured of at least one parent surviving. Yalarryn turned to resume his pacing. His steps were echoed eerily by a dull thudding, emanating from the heavy wooden palace doors, three levels below. As the thudding continued, a cold harsh grimness came over his face. Turning towards the stairway, his fists clenched at his side. His eyes narrowed, for just a moment, before he turned, headed back to his vigil in front of the birthing chamber. His thoughts grew darker with each passing moment. The attackers had struck in the early hours, just as the first of Ihmayra's two suns arose. They had headed straight for the palace, leaving a trail of death and destruction in their wake. “Our foe chose the perfect time to attack, at first light, when minds and bodies both are sluggish from sleep, and reaction times are slowed.” Yalarryn thought, with an almost reluctant admiration for the attacker's cunning, as he looked once more towards the window. His inward musings were interrupted, as one of the palace guards suddenly came hurrying up the staircase. The guard arrived at the landing, flushed and out of breath. Coming up to King Yalarryn, the guard bowed low. He spoke, with thinly veiled fear apparent in both his voice and eyes. “My Liege, those within the palace grow more and more fearful. They have sent me to inquire what you wish us to do. Should we stand and defend, or head for the refuge caves?" The King was silent for a few moments, trying to think through his concern for his mate. Finally he spoke. “Find Shaeethryn, tell him he is to come to me at once, I will give him my instructions. Once you have notified him, you are to gather those who are in the kitchen area together. Tell them they are to go to every single room and anti-chamber and search them thoroughly." The guard bowed once more, and then headed for the staircase. He was about two feet from it, when Shaeethryn stepped up onto the landing. The guard paused for just a moment to stare at the head mage, his eyes holding a combination of awe and fear. Not many of those that served the palace were very comfortable around Shaeethryn. He had quite a reputation amongst them, a reputation that he himself fostered. Shaeethryn had grown quite weary several centuries back of being constantly interrupted by those seeking spells and charms. So he had deliberately fostered an image of mystique and grimness. Swallowing hard, the guard gave the high mage a quick nervous bow, and then headed off on his mission for the King. He turned his eyes for just a moment towards where the guard had gone down the staircase, almost at a run. He brought his gaze back to Shaeethryn. “Is it truly necessary, though, to frighten the palace staff quite so badly? They are absolutely terrified you will turn them into mice or some such, if they so much as look at you wrongly,” he queried his friend, one eyebrow raised, the slight smile still on his lips. Trying to push down his growing fear for Laryseena, Yalarryn proceeded to give Shaeethryn the instructions on what he wanted him to do. Once he had finished, Shaeethryn reached out once more to lay his hand upon Yalarryn's shoulder. Then, without another word, he turned and headed for the staircase. All at once, Yalarryn became aware that the pounding emanating from below, had deepened considerably. “So, they have brought up a larger battering ram. I had half begun to wonder when they would. And judging by the sounds, it is a huge one. Despite the thickness of the door, it will not hold long.” He muttered under his breath. A scream so shrill, it actually caused him to wince, came from within the birthing chamber. The tears he had been fighting so hard broke free at last, to flow in silvery streaks down his face. Hands clenched tightly at his sides, he tilted his head back. Lowering his head, he turned, shoulders hunched in despair, his face tear-dampened, to once more resume his troubled vigil. He paused in front of the door that stood between himself and the woman he loved more than life. Reaching out, he laid one hand flat against it. A grim smile of satisfaction graced his lips. He had one small ray of brightness in this dark time. Raelim, the court high physician, and his daughter Marayna, were with his precious Queen. 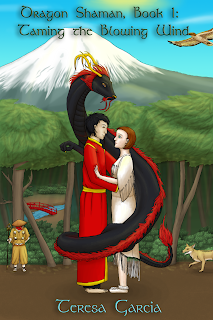 Raelim and Marayna were both looked on as close friends by both himself and his mate. He knew they loved Laryseena almost as much as he did himself. He knew also that they both would, if need be, lay their very lives down for her, and for himself as well. He also knew, beyond doubt or question, that both of them would abide by the oaths they had given him, when he had told them of the eerie warnings he had received. Those warnings had come from not only Shaeethryn, they had also come from one other as well-one whose kind, while not actually enemies of his own, were definitely not allies. Not trusting the source of what he had been told, Yalarryn had sought to validate the information with someone he did trust, his high mage, Shaeethryn. He had told the high mage of both the warning, and its source. Shaeethryn's voice had taken on a hardness that Yalarryn had never heard him use before. To Yalarryn's shock and dismay, Shaeethryn not only validated the warning, he added further ones of his own. When Yalarryn left that meeting with Shaeethryn, it was with a heavy heart and deeply troubled mind. He took what he had been told seriously enough that he began making arrangements that very day, just in case. King Yalarryn's mind slipped back to the day that the madness had begun. It had started out as a relaxing hunt, and ended in events that still sent chills through him when he recalled them. Yalarryn stood, glaring out of the window at the pouring rain. His brows drew together in a heavy frown as he stared out at the miniature lakes that had taken over the palace front lawn. The disgust in his eyes deepened as he turned them to gaze at the flowing waterfalls which cascaded in never ending streams from the eaves of the stables below. A heavy uncharacteristic scowl marred his handsome features as he turned from the window. He muttered frustrated imprecations against the weather as he began to pace. “Thrice accursed rain, must we suffer it forever? A full seven days it has fallen, yet still it shows no signs of ceasing! I truly begin to fear we may never see the suns again!" Laryseena glanced up from her embroidery, her eyes soft with love. In her eyes, her much loved mate was the handsomest man in the entire land. As she watched him her thoughts turned inward and a look of concern entered her eyes. Her mate did not react well to enforced confinement. He had been growing more and more edgy and irritable with each day that passed since the rains had begun. The concern in Laryseena's eyes deepened as her thoughts continued. Many in the land had been forced from their homes by the rising water. There had even been reports of fatalities. Laryseena also hoped the rains would cease soon. If it did not, the entire land would suffer. Already they had lost a goodly portion of their food crops due to the flooding. Her attention returned to her mate. Every now and then he would return to the window to stand, body tense with frustration for several long moments before he would once more resume his muttering and pacing. She could have sworn she had even actually heard a low growl at one point. As he paced his waterfall of waist-length silver hair rippled and flowed like a silken river. She focused on her mate's ears, which showed just the tiniest bit through that silken mass. A secretive smile just barely touched the corner of her mouth as glint of mischief entered her eyes. She had discovered, not long after their mate-bonding, that Yalarryn's ears were his weak spot. All she had to do was to rub or nibble on them gently to soothe his temper or sway him to her way of thinking. Laryseena tilted her head down for a moment as she grinned to herself. Her mate had not, to this day, figured out that she knew that little weakness. Or that she took full advantage of that knowledge when it suited her! Lifting her head, she watched in silent admiration as his muscles moved and shifted beneath the fabric of his burgundy tunic. Even when frustrated, he moved with a fluid grace and beauty. As Laryseena admired the way the black silken leggings encased her beloved mate's powerful legs, she once more tilted her head downward for a moment as a delicate blush blossomed on her cheeks. Despite their having been bonded for at least a century, she still felt as befuddled as a maiden whenever she gazed upon this one who held her heart in his hands. Laryseena's eyes were soft with love as she once more lifted them to regard her irritable mate. “My heart, despite all of our powers, even we be not able to control nature herself. You must be patient. One would think that you would be grateful, for was it not but two moons past that you were complaining about the heat and drought? It would seem nothing pleases you these days." Laying her embroidery aside, Laryseena pulled a cushioned foot stool closer. Patting it, she continued. "Come, dear one, sit and relax, whilst I rub your shoulders and sing your tension away." She had been gifted with a voice that could work miracles on any who heard it, whether they be suffering spiritual or physical symptoms. She often visited the sick, singing to them, lulling them into a dreamless sleep state while their bodies healed. Or, in the cases of fatal injuries, eased their passing. She could gift her song too many or to only a single one, leaving all others deaf to its beauty and power. Despite his deep feelings of frustration, Yalarryn could not resist the temptation to hear her lovely voice, nor the promise of her gentle touch. He gave her a small smile as he walked towards her, trying hard not to let his edgy frustration show so strongly. He loved this precious woman beyond bearing. He knew that his increasing agitation and irritability of recent times had been causing her concern, but he simply could not help it. He felt, in all truth, that if he did not get outside in the fresh air soon, he would go mad. As he felt his mate's hands settle gently on his shoulders, then begin a soft kneading motion, he tried to focus on nothing but the feel of her hands. Her sweet voice filled the air as she sang a soft love melody, one which just happened to be one of his favorites. As Laryseena's fingers worked their magic on his tense muscles, her song did the same for his inner tension. A recent lack of proper rest finally began to catch up with him as he began to relax more and more. Turning his head a little, he reached up and took one of her hands, bringing it to his lips in a gentle kiss. Yalarryn stood, and then reached out his hand, offering to help Laryseena to her feet. With a soft smile she placed her hand in his, her eyes shining with love. All the way from the conservatory to their bedchamber, their hands were linked, their heads bent towards each other. Their exchanged whispers were interspersed by light feminine giggles or masculine chuckles. The few maidservants that they passed by looked after them with wistful sighs, longing for a love like that. As it turned out though, they were not able to enjoy the garden walk after all, for the rain was still flooding down when they awakened. So they passed the remainder of the day in the palace library, reading each other fables, and stories of enchantment. Every now and then, they would pause to gaze into each others' eyes, or to exchange touches and kisses. As the day progressed, a small part of Yalarryn's mind stepped back, withdrawing to watch his mate. The more he watched her, the more he became aware that something seemed to be on her mind. It had been becoming more apparent ever since they had awakened from their unplanned midday sleep. Every now and then, he would look up from reading her an amusing bit here and there, to find her regarding him, with a rather odd look in her eyes. The moment she caught him watching her, she would turn her head away, or lower her eyes and begin to chatter, or change the subject. He wondered, fleetingly, if her strange behavior might have had to do with her recent bouts of illness. He had begun to notice that it only seemed to strike between the hours of first to mid first-sun time. The larger of Ihmayra's two suns raised a short time before the second smaller, so time in the land was based on the larger sun. When they retired for the night, he was still pondering on his mate's rather odd behavior. Yalarryn was brought back to the present as a scream once more rent the air. He froze, head bowed, body stiff, his hands clenched at his sides so tightly his nails drew blood, as he fought the near overwhelming urge to go to his mate. Never, in his nearly three centuries of living, had he felt so helpless. For long moments after silence once more fell, he stood there, his heart filled with the aching need to hold and comfort Laryseena, to know that she was alright. Yalarryn awakened several hours before sunrise the following morning. He simply lay there for a few moments, sensing that something was different about this particular morning. It was as he lay there, listening, that he slowly realized what was different. He no longer heard the sound of the rain that had pounded the palace, so constantly and without let-up for the past seven days! Trying to tamp down his growing hope, he got up carefully, so as not to awaken his still deeply sleeping mate. He walked over and opened the shutters on a window overlooking the small courtyard that lay just below the royal bedchamber. His eyes began to light up as he gazed out at the first sunshine and blue skies he had seen in seven days. Glancing down at the ornate fountain that stood in the center of the courtyard, he saw not a single raindrop dimple. His heart pounding with excitement, he turned his head to gaze at where Laryseena lay, debating on whether to waken her. He remembered how, just recently, she had begun to suffer strong bouts of nausea. A slight frown marred his brow at that particular memory. A stray thought, there and gone in an instant, passed through his mind. The matter of his mate's recent illness had also been in his thoughts the previous day. He had been too wrapped up in his desire for freedom though, to really give it that much thought. He realized, in looking back, that it had only been the past sixteen to eighteen days that he had noticed his mate becoming ill. The more he actually thought about it, the more he became certain that it was only in the early morning hours that the illness first struck her. As Yalarryn stood there, a light breeze came in through the open window, bringing him back to the present. The promise of fresh air and freedom at last called out to him. It was a call he simply could neither ignore, nor resist. He made a decision, one that, though he was unaware of it, was about to not only change his life, it would, in the end, change his entire world. Following closely on that last scream came a sound that turned his blood to ice, the sharp sound of splintering wood as the palace entrance doors began to give way. He turned towards the stairway, his face hard and set. For just a brief moment his emerald eyes turned golden. Raising one hand, he made a few subtle movements, and uttered some softly spoken words. The wall across from the landing appeared, for just a heartbeat, to be seen through a slight haze, only to reappear moments later. He once more resumed his vigil, his thoughts dark. The barrier would not hold the Torg for long. If the fates were kind, though, it would hold long enough for those trapped here with him to escape. There was a hidden passageway that was linked directly to the birthing chamber. He laid his hand upon the door behind which his mate laid, his mind filled with worry. Not knowing whether Laryseena was alright only added to his concern and frustration. He was not even able to mind-speak with her, in an effort to comfort her. The men strayed farther away from the palace than they ever had before. They were totally lost in the pure joy of being outside, after being kept more or less prisoner by the rain. They were not, in all truth, even really all that serious about the hunt for breeding stock. The beasts they did find that they thought would suit they sent to the domestication sheds, and then continued on their way. He had notified the breeders to keep watch for new animals appearing in the sheds before leaving the palace. The domestication process, which was a spell that took only moments, did no harm to the animals. Once spoken, the spell caused the animals to lose their wildness, thus allowing easier handling, and management. The hunters meandered, lost in enjoying the first taste of freedom and open air that they had experienced since the rains had begun. They did not notice when they began leaving familiar territory. It was, in truth, nearly dusk before they really began to become aware of their surroundings. Only then did they realize that they no longer knew where they were. With that realization, they also realized that the light was fading fast. Yalarryn was just about to suggest returning to the palace, when all at once an ear splitting, feminine shriek filled the air, along with the sound of high pitched buzzing. The small group looked at each other as one when they heard that sound. They all knew of only one creature in Ihmayra that made it, an Ihmryn. The Ihmryn were utterly and completely merciless. Totally relentless, they did not stop until either their quarry, or they themselves, were dead. Hiring themselves out as mercenaries and bounty hunters, they lived for only one thing, the hunt. They were also about the only creatures that even the Torg feared. Even they were not safe from an Ihmryn, if they were the target of a hunt. Only about three feet in height, the Ihmryn were pale and reed thin. Their three fingered hands and webbed feet were tipped with inch long talons. Their long, slender, dragonfly type wings allowed them to move through the air at great speeds. Those wings, when vibrating at ultra-high speeds, were what produced the paralyzing sound the Ihmryn used to incapacitate their prey. Their ability to alter their size allowed them to hide in even the smallest of spaces when they were hunting. The Ihmryn were, for all intents and purposes, nearly impossible to detect-or escape. They were also the only creatures in the entire land which were neither born nor hatched. Rather, they split into two, fully formed, when they overfed on the first night of a new moon. King Yalarryn and those with him knew one thing with blood chilling certainty-the only time the eerie, deadly creatures made that sound was when they were about to make a kill. The high pitched sound, when heard in close quarters, affected the intended victim's nervous system, mildly paralyzing it. This allowed the Ihmryn to attack and destroy creatures many times their small size. When the scream came again, after agreeing on the direction it seemed to be coming from, they headed off to seek out its source. As they journeyed, a strange thought passed through Yalarryn's mind. No living creature could escape the effects of the Ihmryn's sound, unless they possessed extremely strong magic. There was one other thing that made the Ihmryn so dangerous. Even if a magic caster escaped the effects of that paralyzing buzzing, it would do them little good. The strength of a magic caster's magic only protected them from the Ihmryn's sound, but it was useless as a weapon, for the creatures were totally and completely impervious to magic of any kind, be it light or dark. He was to look back later and remember those thoughts. He would wonder why he had not heeded the slight sense of unease which had filled him the moment they had passed through his mind. If he had heeded that feeling, it might have at least partially prepared him for what occurred next. Upon reaching the source of those terrified screams, Yalarryn nearly left the Ihmryn to its meal-with his complete blessings. He had just opened his mouth to order a retreat, before they were discovered, when he suddenly froze in mid motion, his face going blank and expressionless. He felt as if he were suddenly both observer and participant, aware of his actions, but unable to control them. As if watching a scene in a scrying bowl, he watched himself withdraw an arrow from the quiver on his back, notch it, and fire it. The men with him turned their gazes to their king when they saw the nature of the source of the screams. They saw him open his mouth, as if to speak, and then go still as his face went blank. In shocked disbelief, they watched him, with blank-eyed, jerky movements, reach for the arrow, notch it, and send it flying into the back of the Ihmryn's head. The arrow struck with enough force to knock the creature off of its intended victim. Yalarryn, completely aware, but unable to control his actions, could only watch helplessly from his strange vantage point what occurred next. He felt his body move as he began walking towards the one lying on the ground, glaring at him in loathing and contempt. He could only watch, utterly powerless, as his hand reached out to the former victim. His trapped spirit shuddered in distaste and horror, as the one he had just rescued reluctantly lay their hand in his, their eyes filled with, not gratitude, but hatred. The Ihmryn's near meal, the moment that their hand connected with Yalarryn's, froze, their face going as blank as his own. As the near victim lay there, staring up at Yalarryn with eyes gone solid white, they began to speak in an eerie sing-song cadence. The words that were spoken sent rivers of ice through Yalarryn's veins. A warning was given, and an oath spoken, before whatever was holding him in thrall released him. The one he had just saved gave their head a hard shake, as if coming out of a bad dream. Yalarryn finished helping them to their feet, and then dropped their hand, fighting the urge to wipe it, as if he had touched something vile. It was all he could do to keep his disgust at having even touched the other one from showing in his face or eyes. He knew the moment that they became fully aware of him; for their eyes held so much malice that he actually stepped back from them. There was something else in that look as well. Something that, had he not known better, he would have sworn was pure rage. He was not certain, though, whether it was at him, or at the fact that they had just oath-bound themselves to aid him, should he ever needed it. The return to the palace was made in near complete silence. Yalarryn's thoughts were turned deeply inward, as he thought about one of the things that he had been told. Something that might have explained his beloved mate's unusual behavior of recent times. It would also explain why she seemed unable to hear his mind-speak of late. What occupied his thoughts the most, though, was the dark warning he had been given, pertaining to that somewhat startling news. Upon returning to the palace, Yalarryn demanded an oath from all of the men, that they would say nothing of what they had heard to anyone. Once he had obtained that oath, he sent the men on their ways. His mind much troubled by the warning he had been given, he proceeded on to the palace. Yalarryn deeply distrusted the source of the warning he had been given. So he sought out someone that he did trust, Shaeethryn, his high mage, to validate it. The hope he had held that Shaeethryn would prove the warning false was soon crushed however. The high mage not only validated what Yalarryn had been told, he offered further warnings and predictions of his own. Shaeethryn also validated the information Yalarryn had been given that had pertained to Laryseena. Shaeethryn had already been aware of the matter pertaining to the Queen, despite not having spoken to her, through means of his own. He had also known that Yalarryn would be seeking him out that day, and why. He was not, in truth, even asleep, when Yalarryn sent for him, upon returning to the palace. Rather he was awake and alert, awaiting that very summons. It had been with a very heavy heart that he had been forced to validate Yalarryn's concern. Shaeethryn's heart had grown even heavier when he had added to those concerns with further warnings of his own. The warnings that he gave his King had been based on his knowledge of what was to come. Yalarryn walked away from that meeting with his mind even more troubled. He had half hoped that Shaeethryn would tell him to ignore the warning, due to the nature of the teller. When the high mage had instead validated the warning, and offered further ones, Yalarryn had faced the bitter truth. No matter what he might wish, the events that had been predicted would more than likely come to pass. Returning to his chambers, he laid back down beside his deeply sleeping mate. Just before sleep claimed him, he made a decision. He began implementing it within a short time of arising that very day. Yalarryn's attention was jerked back to the present, as another scream filled the air. This one seemed harsher, and even more desperate. Once more he pressed both hands to the door. As he laid his head against them, his heart was breaking at the pain he sensed lay behind those screams. Yet again he cursed his inability to be able to comfort his mate. Deep in his heart, he sent a mental plea to Laryseena, hoping against hope that she might hear him, "Oh my love, please, be strong for me, for us. I cannot bear the thought of losing you. I crave the sound of your sweet mind-speak filling my mind so very desperately." Whirling away from the door, he strode down the hall, to the window overlooking the courtyard. As he gazed down at that seething mass of armed, clawed and fanged death, he wondered if any within the palace would live beyond that day. All at once, a scream filled the air that had Yalarryn quickly rushing back towards the birthing chamber, his heart in his throat. That scream was followed by what, to Yalarryn, felt like an eternity of silence, and then came the wail of a babe. Yalarryn could stand it no longer. The force with which he burst through the door ripped one of the heavy leather hinges from its fastenings. The door slammed into the wall with a crash, and then hung there at a drunken angle, held by only the middle and lower fasteners. Yalarryn froze in the doorway, a look of grief already beginning to fill his eyes, as he took in the scene before him. That is the first three chapters of my current fantasy work in progress, THE IHMAYRAN CHRONICLES TRILOGY/BOOK ONE: CHILD OF SUN AND MOON. Teresa: Thanks for this visit and telling us about you and your books. Editing, not just for books.